Swimmers are encouraged to attend Opening Ceremonies on Friday, July 12th at SDCCU Stadium. Athlete Fun Zone opens at 4pm, Ceremonies begin with the Parade of Athletes at 7pm. Masters - When registering enter 25+, and make sure to add your birthdate. Master swimmers will swim together and be awarded by age division. ENTRY FEE - new lower entry fees! Must be a current member of a swim team, any affiliation. SHORT COURSE MEET. All events will be timed finals. Seeding determined by entry time. 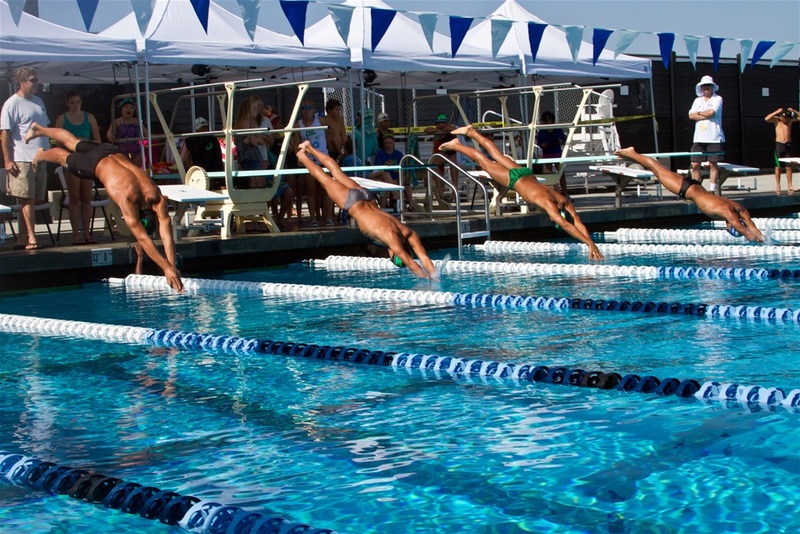 This is a USA Swimming approved meet. All swimmers will use USA Swimming rules. Gold, Silver, & Bronze medals to top 3 in each event in each age group & relays. Team Championship Banner will be scored through 8th place and is not based on medal count. Scoring will be 9-7-6-5-4-3-2-1 for individual events and double scores for relays.